Political Leader from Ecuador Visits Brockbank in Mrs. Louise Crook's Second Grade Class! Ms. Maria Fabiola from Ecuador visited Mrs. Louise Crook's second grade class on March 26. She is the political leader of her village in Ecuador and is visiting America to report to report to BYU and the Benson Institute how her village is progressing with the agricultural techniques taught to them by those organizations. Several years ago, Ms. Fabiola's village in Ecuador was having extreme hardship as main staple of their diet was corn. Read more about Political Leader from Ecuador Visits Brockbank in Mrs. Louise Crook's Second Grade Class! Brockbank Debate Team Excels at District Tournament! Brockbank fifth and sixth-graders have been working hard the last few months preparing for the district debate tournament. Under the direction of Mrs. Kristel Peterson, students have spent hours researching, dividing into affirmative and negative teams, and preparing oral arguments. At the district tournament out of approximately 100 overall students Brockbank students did extremely well. Students debated in teams of two, overall winners are in pairs. Eight total teams go on to state and Brockbank students make up five of those teams. Read more about Brockbank Debate Team Excels at District Tournament! In Mrs. Tara Farr's kindergarten class leprechauns have been leaving gold and green dust, and small footprints around the classroom. The students made spy glasses to help them be able to see the leprechauns better. Mrs. Farr caught a leprechaun and put it in a bag and stapled it all shut. She was so excited to show her class the leprechaun but when she opened the bag he wasn't there. He left a clue and told them they shouldn't have taken their eyes off of him. He led them on a hunt through the school leaving them clues along the way. Brockbank Students Enjoy Performance by Irish Dance Company Dancers! Monday, March, 18, The Shelley Irish Dance Company came and performed for Brockbank students. The dance company is Utah's premier Irish dance performing group directed by Tina Shelley and Johanna Lambert based out of Cedar Hills, Utah. The dance company has brought new traditional and contemporary Irish dance choreography to the stage. Most of the perfomers have been dancing for over 10 years and are the finest championship Irish step dancers in the state. Brockbank students really enjoyed the performance! Read more about Brockbank Students Enjoy Performance by Irish Dance Company Dancers! This weeks Brockbank staff spotlights are Mrs. Karolann Pace and Mrs. Marsha Parmenter. 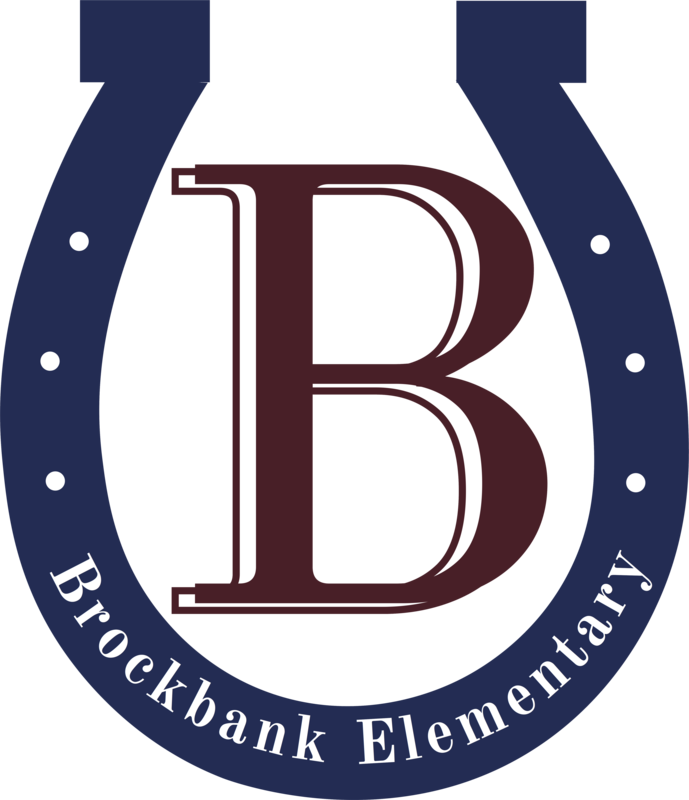 Read more about Brockbank Staff Spotlights! Brockbank is Collecting "Pennies for Pets" by Holding a Schoolwide "Penny War"
Brockbank Elementary is raising "Pennies for Pets" to support the South Utah Valley Animal Shelter. Money earned will be used to care for animals and help them get ready for adoption. The "Kid Power" sixth-grade student council members met and decided to have a school wide "Penny War". Teams are divided into grade and gender so each grade level will consist of two teams for example there will be two first grade teams a boy team and a girl team. Each team will have a sealed can for students to put money in. The object is to get more points than the other teams. Read more about Brockbank is Collecting "Pennies for Pets" by Holding a Schoolwide "Penny War"
Wednesday, March 13, students from the Spanish Fork Junior High School Band visited the sixth-graders at Brockbank. Mr. Matthew Wendell, the band teacher, explained the program and explained all the different instruments to the six-grade students . The junior high students played a musical piece they have been practicing. Several of the band members were former Brockbank students. Sixth-graders now get to decide if they want to take band. Or maybe orchestra? The Spanish Fork Junior High Orchestra came last week to get the the sixth-grade students excited to join them. Read more about SFJH Band Visits Brockbank! Brockbank Receives HealthierUS Challenge Bronze Award! Brockbank Elementary along with six other elementary schools in Nebo School District were recently presented with the HealthierUS School Challenge Bronze Award. This is the first time any school from Nebo School District has received this award. The goal of the HealthierUS School Challenge is to improve children's health by promoting healthier schools. Schools have been increasing fruits, vegetables, whole grains, and beans into healthy menus for students. Read more about Brockbank Receives HealthierUS Challenge Bronze Award! Brockbank Students Learn Basics of Square Dancing! Monday, March 11, Duane and Shauna Woodmansee from ARTS, Inc came to Brockbank to teach students and teachers about "Western Hoedown". The Woodmansee's have been sharing their love of western dance for more than 35 years. Students and teachers learned the basics of square dancing, some it's history, and social etiquette. Shauna showed the students the costumes worn by square dancers and explained why they wear certain clothes. The younger students enjoyed doing the chicken dance, hokey pokey, and learning some of a country line dance. Older students did square dancing. Read more about Brockbank Students Learn Basics of Square Dancing! Brockbank First Graders Visit Grandma Marie Hansen's House! Brockbank students in Mrs. Marcy Noorda's first-grade class recently got to go on walking field trip to visit Grandma Marie Hansen. She has been waiting them to come to her house so she could show them her collection of Nutcrackers. Grandma Hansen is a foster grandma in Mrs. Noorda's class and the field trip was orginally planned for December but Grandma Hansen wasn't feeling well and it was so cold they postponed it for the end of February. Grandma Hansen's grandson said she has 192 nutcrackers and only has one set of duplicates. The students really enjoyed her collection! Read more about Brockbank First Graders Visit Grandma Marie Hansen's House!